Tallahassee, FL: Republican Party of Florida Chairman Dave Bitner released the following statement on Florida’s Republican primary. “As chairman of the Republican Party of Florida, my primary concern is what is in the best interest of Florida and Florida Republicans. I commend our Legislature for standing up for Florida voters, by ensuring we have an early voice in the presidential primary process. Florida is one of the most economically and financially diverse states in the nation and provides the perfect litmus test for selecting the most viable Republican presidential nominee. 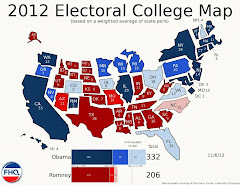 As the largest swing state with 29 electoral votes, Florida is critically important to the 2012 presidential election. We have had a slow move toward the possibility of scheduling a late February presidential primary for a little over a month now, yet it was still unresolved enough to elicit a rather strong response from the chairpersons of both the South Carolina and Iowa Republican Parties. I'm not sure that the above statement really puts that fire out. First of all, the Florida legislature is working under something of a time crunch. They are set to wrap up business for 2011 in early May. In other words, the Republican Party of Florida, the legislature there and the RNC have about a month to cut a deal of some sort. Florida legislators and other Republicans in the state want the Sunshine state primary to be positioned so that the party and its voters have maximum say over the Republican presidential nomination race. But for Florida to insert itself into a late February primary position without losing delegates would mean that the RNC would have to bend its rules for Florida. If the rules can be bent for Florida, why not in New York or Michigan or Wisconsin -- states whose legislatures have year-round legislative sessions and who have to alter their primary dates to comply with national party rules. And what about Missouri, where a plan to move to a week after New Hampshire is still on the table? A veto of that bill, should it also pass the Missouri House, would keep the Missouri primary on February 7, a day after Iowa's proposed date. There won't be a full scale rush to the front in response to Florida in late February -- most state legislatures are confined at that this point in the legislative season -- but there are still some cracks to fill in in a little more than a month to ensure that Florida will not only come to the table on this issue, but get a move pushed through quickly. That would require some assurance from the RNC that the aforementioned February states will move sometime during 2011. Can the RNC guarantee the Florida GOP that those other states will move also? Maybe, but maybe not in a month. This statement doesn't end this saga; it only keeps it going. It all begins with Florida, but it goes elsewhere across the country first before hopefully, from the RNC's perspective, ending with Florida. We shall see. Primary bills in both the Missouri House and Senate had been ready for a floor vote for a few days (The first time SB 282 appeared on the formal calendar for a vote was last Friday. ), but both came up for a vote today. Originally, SB 282 and HB 503 called for moving the Missouri presidential primary from the first Tuesday after the first Monday in February to the first Tuesday after the first Monday in March. The House version of the bill retained that move, but the Senate version was amended to strike the March date which was replaced with language that scheduled the date of the Show Me state presidential primary for one week after the New Hampshire primary -- regardless of where New Hampshire is positioned. Obviously, the House version would bring Missouri back into compliance with the national parties' rules for the timing of delegate selection events. The Senate bill, on the other hand, would continue to flout those rules -- taking an already out of compliance primary and shifting it anchored to New Hampshire. What's striking is that after a nearly even split in the vote on the amendment to change the target date (16-14), the vote for the full bill today got nearly unanimous support (29-3). That means a great many Democratic legislators voted for the plan. This happened in Florida in 2007, too. Democrats supported the bill before they were against it. Florida Democrats voted for the measure to move the Sunshine state's primary to the last Tuesday in January but cried foul when the Democratic Rules and Bylaws Committee stripped the state of all of its delegates in reaction. But Missouri Democrats have something in 2011 that Florida Democrats -- also in the minority -- didn't: a Democratic governor. Even if this plan makes it through the House, then, Governor Jay Nixon's veto can save them. ...to some extent. If the one week after New Hampshire version passes the House, goes to Nixon and is vetoed, the Missouri primary is still scheduled for February 7, in violation of national party rules. Speculating that the bill will get to that point is one thing. It actually happening is another. There is no indication at this point that the House, which passed a move to March plan, will go along with the Senate's changes. But needless to say, on a day where the Florida primary was back in the news, Missouri adds a new wrinkle to the 2012 presidential primary calendar evolution. Well, it must be the end of the month because South Carolina Republican Party Chair Karen Floyd is back in the news calling on the RNC to strip the state of Florida and the city of Tampa of the 2012 Republican National Convention if the state legislature in the Sunshine state doesn't reschedule the state's presidential primary to a date that is in accordance with national party rules. And now she has Iowa Republican Party Chair Matt Strawn condemning the inaction in Florida as well. This differs very little from what Floyd said at the end of February. It's just more formal now -- a letter to the RNC -- and has the added element of exempt state unity -- sans New Hampshire and Nevada.1 First of all, I would be surprised -- bordering on shocked -- if the RNC pulled up its roots in Tampa and took the convention somewhere else. Not only would that draw additional resources in the form of start-up costs somewhere else away from the national party -- resources it will desperately need in an election against the president -- but the snub would in no way help with organizational efforts in a state that is more than likely going to be huge competitive and possibly decisive on the presidential election outcome. By the way, Florida knows this and that's why they are calling Floyd's bluff. So is this a big deal? No, not really. Republican Party members in South Carolina, Iowa, New Hampshire and Nevada will only go along with the national parties' rules as long as there are no other states threatening their status. Florida, and others just a week later, are filling that threat role quite well. The underlying issue is penalties. If Florida holds its current position, that causes the exempt states to move to earlier dates. But the move by the exempt states would put them in violation of the national party rules and, as in 2008, would open them up to the same penalties that face Florida (losing half the delegation). That's what this is about. South Carolina wants to prod Florida into action to avoid penalties that would arise through no fault of their own. The unfortunate thing for South Carolina's Republican Party is that Florida has proven that it is more than willing to play brinksmanship with the national party and any other states in their way. The feeling that is seemingly emerging from Florida is that legislative leaders there are daring the national party to penalize the state. But that dare is affecting other states, too. That's the issue. If Florida stands pat, the four exempt states leapfrog them and the RNC doesn't penalize Florida, well, they cannot justifiably penalize South Carolina or New Hampshire either. Florida holds the trump card.2 It isn't fair, but state-level actors in the Sunshine state know how important the state is to the GOP's chances of taking back the White House in 2012. Florida will use that to their advantage, and at the end of the day, the RNC is very likely to go along with it because of the general election implications. All Iowa, New Hampshire, Nevada and South Carolina can do is can move up. Fairness will take a back seat when the potential for winning is threatened. That threat is bigger to the RNC than the threat to the four exempt states. Sit back and enjoy the ride South Carolina; Florida's legislature adjourns in May. 1 Well, New Hampshire GOP chair Jack Kimball did make a statement, but he has nothing to do with the timing of the primary in the Granite state; not in the same way that Floyd and Strawn have in the selection of a primary or caucus date in their respective states. 2 Florida isn't really to blame here. As I pointed out earlier, there are other states that have done nothing to change the dates of their delegate selection events. The bottom line is that the RNC knew or should have known where Florida was positioned and adjusted their rules and/or calendar accordingly. On Tuesday, the Maryland Senate unanimously passed (46-0) SB 501, the amended version of which shifts the Old Line state's presidential primary from the second Tuesday in February to the first Tuesday in April. The legislation would also move the primaries for state and local offices from September to the last Tuesday in June in order to keep the state in compliance with the federal MOVE act. Originally, the bill called for a first Tuesday in March presidential primary and a second Tuesday in July primary for state and local offices, but SB 501 was amended to resemble the competing Senate bill, SB 820, a bill that mirrored the House version (HB 671) passed last week. The two measures -- House and Senate -- have the bipartisan sponsorship of the leadership and have both subsequently passed unanimously. In other words, it is only a matter of time before these bills find their way to Governor O'Malley's desk for approval. And since the bills were introduced at the governor's request, his signature should be considered something of a foregone conclusion. Much is being made of the apparent discontent within the California Republican Party over proposed and Democratic-backed legislation to move the Golden state's presidential primary back to June. It started with talk coming out of the Republican convention in the state the weekend before last and has continued in the time since. For the record FHQ is not particularly swayed by either side of the argument over the timing of the presidential primary -- either political or budgetary -- in California next year. Democrats have the luxury of not only having unified control over the state government, but because of that can also afford to save money combining the presidential primary with the primaries for state and local offices already scheduled for the first Tuesday in June. Republicans in the state are just out of luck. It doesn't seem entirely political, but the move to coordinate the two sets of primaries and save money in the process seems more like a means to an end. Yet, former California GOP chairman, Rob Nehring, is absolutely right that if the national Democrats had a contested nomination race in 2012, California Democrats would not be making this move to June. Instead, they would presumably be doing what California Republicans and the national parties want them to do: moving the primary back into compliance with a first Tuesday in March separate presidential primary. And would assuming Democratic control of the state and a competitive nomination race in 2016 make some effort to put California's primary back into the window of decisiveness. What I think is being lost in all of this discussion is that we do and don't have an official Republican response to the Assembly bill (AB 80) that proposes the change to the presidential primary date. Sure, state Republicans have made their demands -- among them a March presidential primary -- but we have yet to see that plan manifest itself in the form of legislation. Well, we have, but most just don't know it yet. Senate Minority Leader Robert Dutton (R-31st, Rancho Cucamonga) just beat the deadline to introduce legislation last month when he introduced SB 782 which makes a non-substantial change to the portion of the California statutes dealing with the timing of the presidential primary. The removal of the comma will eventually be augmented by a change in committee; likely a rescheduling of the presidential primary from February to March. Of course, it may seem more pragmatic to suggest that that new version would call for not only a March presidential primary, but concurrent primaries for state and local offices then as well. Now, it should be noted that California moved back before it moved forward in 2008. 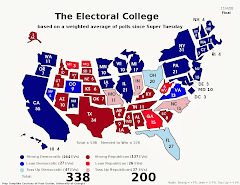 The assembly moved the primaries -- all of them -- from the first Tuesday in March to the first Tuesday in June for 2008 back in 2004 and then created the separate, February presidential primary in 2007 when a host of other states were shifting up to February primary dates. Part of the initial move back to June was triggered by what was deemed the "utter failure" of the March primary. Low turnout in the midterm election years and an overly long general election campaign were cited as problematic. With those issues out in the open, though, concurrent primaries in March seems like the compromise position on all of this. Democrats get the budgetary savings they want and Republicans get the date they want for the presidential primary and remove the necessity of inevitably moving the date again in 2016. But what about the turnout problem and lengthy and costly general election campaigns in midterm years? Why not keep the midterm primaries in June in midterm election years and the March primary in presidential election years? Other states do this. Pennsylvania, for example, hold concurrent primaries in presidential election years in April, but has May primaries in midterm years. That would be the pragmatic, compromise approach in California, but we'll have to see what Republicans do with SB 782 first. If Republicans push this plan and Democrats quash it, then Nehring would have a point about the move to June being political. With plans finalized for the scheduling of the presidential primary in Virginia and caucuses for Utah Democrats an edit of the 2012 presidential primary calendar is in order. Keep up with the development of the calendar at its permanent home. On Friday, March 25, Virginia Governor Bob McDonnell signed both HB 1843 and SB 1246 into law, officially moving the Virginia presidential primary from the second Tuesday in February to the first Tuesday in March. Virginia now joins Massachusetts, Ohio, Rhode Island, Texas and Vermont on March 6, the first date on which the national parties are allowing non-exempt states to hold their delegate selection events. The Old Dominion becomes the first state to move its primary back during the 2011 state legislative session. Arkansas and Illinois had moved back previously, but both had done so before the DNC and RNC had settled in on their respective delegate selection rules; requiring all states with primaries scheduled prior to the first Tuesday in March to alter the dates on which their primaries or caucuses are to be held. A number of bills in other states seek to move primaries back to that point or later on the calendar, but Virginia because of its short legislative session -- one that expired at the end of February -- was forced to move (if it was going to) ahead of most other states. 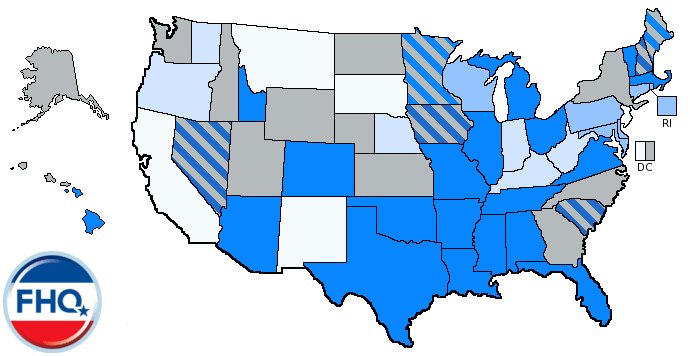 The updated 2012 presidential primary calendar can be found here. The Maryland House yesterday unanimously passed a measure shifting the presidential primary from February to April and the primaries for state and local offices from September to June. HB 671 passed 139-0. The passage of this bill has always been something of a foregone conclusion considering both the Democratic and Republican leadership in the House sponsored the legislation on the request of Governor Martin O'Malley (D). However, the ease with which this process may resolve itself may have met some resistance today in the Maryland Senate. The Education, Health and Environmental Affairs committee passed by a 9-2 vote an amended version of SB 501 today. That bill differs from the original companion to the House bill (SB 820) in that the presidential primary would be moved from February to the first Tuesday in March, not April and the state and local primaries would be moved to the second Tuesday in July and not the third Tuesday in June. Part of that was rectified in the amendments offered and adopted by the committee, but now the bill headed to the state Senate floor does not match the House version. The amendments added the leadership to the list of sponsors which originally included only Education, Health and Environmental Affairs committee vice chair, Senator Roy Dyson (D-29th, Calvert, Charles & St. Mary's Counties) and altered the language concerning the timing of the primaries for state and local offices -- changing the proposed July date to the preferred June date. Dyson alluded to the consensus behind the June date in his comments in the committee hearing for both Senate bills last week. But he didn't say much about the presidential primary's timing. And that portion was left unamended in the version of SB 501 that passed while SB 820 was left in committee. The fact that the leadership was added to the list of sponsors is an interesting pseudo-seal of approval on a measure that will now go to the floor. The result is that now the Senate version calls for a March primary while the House version -- a version that has passed the chamber already -- endorses an April presidential primary. A few things could happen here. First, SB 820 could emerge from committee and be passed as is and everything is fine. Second, as we saw in Missouri recently, the bill could be amended on the floor to include the April presidential primary date. The third option is that the newly amended SB 501 passes and the two chambers have to figure out how to reconcile the differences on the presidential primary date. Both of the changes bring Maryland into compliance with the national party rules, so that issue is not complicating the matter any. The Senate is expected to amend a similar bill to reflect the provisions of the House version Friday, according to an aide to the Senate president. The article also says that the House bill passed on Monday. Yeah, it looks that way, and you would probably have to check daily like FHQ does to know this, but the bill passed the House yesterday. The House treated yesterday, March 23, as the March 21 legislative day (see also today's House agenda). The legislature in New Mexico adjourned for the session last Saturday, and in the process a bill that would have moved the presidential primary in the Land of Enchantment -- and those for state and local offices held concurrently -- died in committee. SB 572 was introduced by Republican state senator, William H. Payne (R-20th, Bernalillo) on February 17, the deadline date for legislation to be introduced. The legislation would have shifted the New Mexico primary from the first Tuesday in June to the first Tuesday in March. However, once the Republican-sponsored bill was introduced in the Democratic-controlled Senate, it was referred to the Senate Rules Committee where it spent the last month of the session. New Mexico has represented a quirky situation the last two cycles (2004, 2008). Typically, in the post-reform era, New Mexico had brought up the rear with a June primary. Though the primary remained in that position in both 2004 and 2008, a 2003 change to the primary election law allowed the parties to decide how they wanted to allocate delegates for the purposes of nominating a presidential candidate. That "or in accordance with the selection procedure for presidential candidates of each voter's party" segment of the law allowed the parties to decide where on the calendar to hold their delegate selection event. In both 2004 and in 2008, New Mexico Democrats essentially held a firehouse primary on the first Tuesday in February while Republicans in the state continued to allocate their national convention delegates using the June primary. Senator Payne's bill would have changed that, moving the primary for president and all other offices up to the earliest date on which the national parties are allowing non-exempt states to hold delegate selection events. Unless the state GOP opts to hold its own earlier contest, it appears that delegate selection in both parties will take place during the first Tuesday in June primary in New Mexico in 2012. FHQ let yesterday come and go without marking the fourth anniversary of the site. Usually we like to keep it business-like around here, but it is worth noting that we've been at this for an entire presidential election cycle now. [Are there other measures of time other than presidential election cycles?] 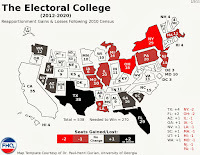 Something that started out on a personal level as a means of collecting data about the formation of the 2008 presidential primary calendar for my dissertation research has grown into a resource for not only the formation of the calendar but for tracking the factors relevant to presidential nomination races. FHQ has come a long way since that first post (and can probably be faulted for starting well after much of the initial calendar action had taken place in 2007), and has morphed from something that wasn't necessarily intended for public consumption to something that is a tool for academics and journalists alike. I'm proud of that evolution and want to extend a hearty thank you to all who have been readers, loyal or otherwise, over the last four years. No, not those battle lines. The Government Accountability Board in Wisconsin over the last couple of days has telegraphed its desire for different primary dates in the Badger state. At this point, that mostly revolves around changing the date of the September primary for state and local offices in order to comply with the MOVE act to ensure that military personnel overseas receive ballots in a timely manner. However, the issue of the timing of the presidential primary has been broached as well. [Government Accountability Board director Kevin]Kennedy's letter said the staff also considered holding the 2012 presidential primary after March 1 at the recommendation of the national Republican and Democratic parties. The presidential primary is now held on the third Tuesday in February. Local election officials suggested moving the presidential primary to April during spring non-partisan elections. To save money, they also suggested holding the primary for the spring election during the November general election, starting in 2012. Kennedy said the board will discuss presidential primary changes later. [Government Accountability Board elections specialist Katie] Mueller said staff had also looked into changing to the date of the presidential primary election, on the recommendation of the national Democratic and Republican parties. Clerks initially suggested moving the presidential primary to the same day as the spring election. They also suggested holding the spring primary on the same day as the November general election. That idea was scrapped after staff learned the Wisconsin Constitution prohibits holding any judicial elections during a partisan general election. Mueller said any future proposals made to change the presidential primary dates would not affect the 2012 presidential primary. The November primary idea hints at a way for the state to save money by combining elections. And it is noteworthy that that discussion was never taken in the direction of combining the presidential with those April local elections like Director Kennedy had mentioned yesterday. That last line also really requires a touch more explication. It could mean that Wisconsin has no plans to change the date of the primary, keeping it out of compliance with national party rules. That, of course, is something that will be up to the legislature to decide. But that could also mean that the Government Accountability Board won't make a recommendation on moving the 2012 presidential primary and will simply defer to the legislature to make the decision. The Wisconsin legislature can opt to wait, though, considering its session is year-round. It's something to keep an eye on. FHQ is late to this, but we did want to document what happened late last week with the development of the so-called Mid-Atlantic Primary that would coordinate the primaries in Delaware, Maryland and Washington DC. Maryland and DC are moving ahead with plans to shift their respective primaries to the first Tuesday in April, but as of now, despite the mentions of it in press reports on what is happening in both Maryland and DC,1 Delaware has remained quiet. Now, that doesn't mean that nothing is going on in the First state, but the progress on moving the presidential primary date there is lagging compared to their neighbors to the south. And really there was no direct mention of either Delaware or DC in the testimony from Linda Lamone from the State Board of Elections last week in the hearings (March 16, 2011) on the state Senate bills before the Education, Health and Environmental Affairs Committee last Wednesday. There was instead talk of coordination with other, unnamed states and an overwhelming sense -- given the comments from the committee -- that the bipartisan support behind the move to April among the Maryland Senate leadership (SB 820) trumped the alternative bill (SB 501) to move the date to the first Tuesday in March. Meanwhile, the state House bill (HB 671) to move the presidential primary to April -- having had a similar hearing the week before -- was reported favorably from the House Ways and Means Committee and is on its way to being voted on soon after a second reading on the floor. In Washington, the story is similar. An amended version of the introduced bill to change the dates of the presidential primary and that for local primaries in the District as well emerged from committee and received its first reading and vote last Tuesday. The 10-2 vote on the 13 member Council is indicative of the level of support the bill (B19-0090) has on the Council. The bill would now move those primaries to the first Tuesday in April as opposed to the second Tuesday after the first Monday in June. And now Delaware the nation tuns its lonely eyes to you. Maryland political leaders, including U.S. House Minority Whip Steny Hoyer, have been coordinating with Delaware and D.C. to hold their presidential primaries on the same day, to gain more national recognition, [Gov. O'Malley's lobbyist, Stacy] Mayer said. No agreement has been reached yet, she said.